A Wedding that takes place at Hotel Gruner Baum, Bad Gastein, is not just a typical wedding abroad, they offer the Perfect Wedding experience. From the moment you arrive, until the time comes when you have to say goodbye, you will enjoy every minute of it. Wedding in Hotel Grüner Baum. Weddings at Hotel Gruner Baum can take place in a choice of locations, including the Wedding Parlour, The Lounge, The Outdoor Gazebo, The Hotel Chapel, or why not even have a religious church blessing in Bad Gastein afterwards? Picture the perfect day... waking up and being pampered in the Hotel Grüner Baum's spa and beauty centre, surrounded by your bridesmaids. Everything can be taken care of, from hair, to make-up and manicure's. The guy's can have one final round of 'Dutch Courage' in one of the hotels relaxing bars before the main event. Then when you are ready, you have a wide choice of gorgeous wedding locations for your wedding ceremony to take place. From the Wedding Parlour (above) which has views across the valley, to the intimate setting of the fireplace in the Hotel Grüner Baum Lounge. Or if you're tying the knot in the Summer, why not have your ceremony in the lovely little gazebo set in the manicured hotel gardens. Following the ceremony you can take a sleigh or horse and carriage ride; depending on the time of year, up in to the snow-covered mountains, or lush-green meadows - just the two of you, or take all your family and friends. Whilst there take advantage of the generous 3 hour photography session which is included in our package, and let the memories live on forever. Upon your return to the main building of the hotel, take sometime to settle down and prepare for the afternoon and evening's entertainment. Your wedding reception can take place in numerous restaurants within the hotel, or perhaps in Summer, al fresco on the hotel's terrace (above). Hotel Grüner Baum offers an extensive choice for hotel wedding menus and receptions. Let your memorable wedding day be more than just a ceremony, and continue right in to the evening. Entertainment can be organised by us to create the evening atmosphere you desire; whether it's traditional Austrian music, a DJ or a mixture, we can work on this with you. Then, if your legs haven't got the better of you then have one final toast in the hotel's warm bar before heading back to your luxurious bridal suite. Winter Weddings can take place in a handful of locations across the resort of Hotel Dorf Gruner Baum. Civil Weddings can be organised in the Wedding Parlour, for larger parties; or in the cosy Lounge in front of the log fire for smaller groups up to 20 people. Summer weddings can take place outdoors in the shade of the hotel's wedding gazebo, surrounding by the stunning alpine mountains and lush green hills. Religious Weddings can take place inside the pretty chapel in the hotel grounds, or in the Church in Bad Gastein. If you'd like to discuss the various wedding location options please speak to our Hotel Dorf Gruner Baum Wedding Coordinator on 0844 770 8270. In advance of the wedding please bear in mind there are very strict legal deadlines that you must adhere to and also legal costs are involved in this. Including: documents required from your legal registry office, translations of documents, issuing of apostiles at the Foreign & Commonwealth Office (may involve you making a trip to FCO Offices in Milton Keynes, UK), express postage to Vienna and on to Bad Gastein; please ask for further details. There are a host of wedding reception options at the Hotel Dorf Gruner Baum. Including a private room, semi-private dining, outdoor receptions and dining in the Half Board Buffet Restaurant. All reception venues carry their own hire charges. If you'd like to discuss the various wedding reception options please speak to our Hotel Dorf Gruner Baum Wedding Coordinator on 0844 770 8270. In-Resort Fees: Depending on wedding reception venue. 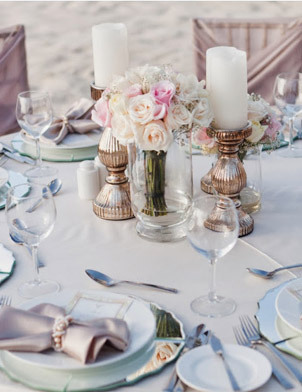 Your wedding reception arrangements are paid directly in resort in local currency. To save up for your wedding reception and for budgeting purposes we recommend you take out your exclusive pre-paid currency card - Free for Perfect Weddings Abroad couples.